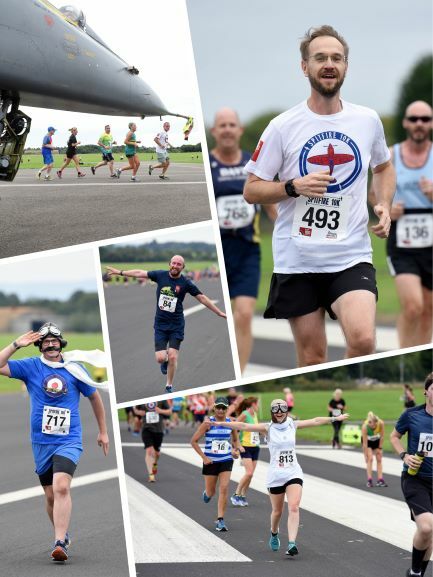 The Spitfire 10K and a Spitfire Family Run will take-off from our fantastic Cosford site on Sunday 1 September 2019! 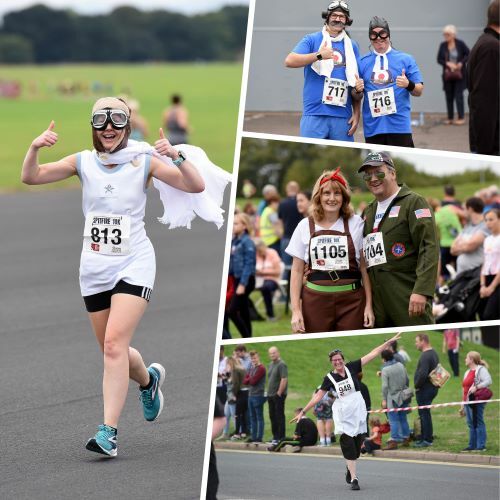 After a sell-out event in 2018 we are excited to launch the Spitfire 10K in Cosford for 2019. 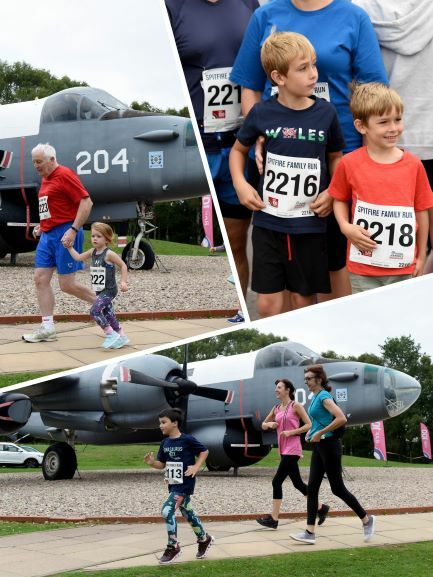 We are giving runners the opportunity to run 10K in the unusual setting and magnificent surrounding of the RAF Museum Cosford. Don’t miss the chance to book your tickets and get one of our famous Spitfire 10K medals. The Spitfire 10K begins outside Hangar One, taking runners around the Museum site, past several iconic aircraft, before entering the RAF Cosford airfield! During this gently undulating course you will get to run up and down the runway! 2019 Spitfire Technical t-shirts (£10.00) and NEW for 2019, Running Vests (£12.00), can also be purchased when you book your Spitfire 10K entry and will be available for collection on the day. The deadline to pre-order your t-shirt is 28 July 2019. Please note that there will be a limited number of t-shirts (£12.00) and vests (£14.00) available for sale on the day, but we recommend ordering in advance to avoid disappointment. Entry to the Museum is free of charge. Runners, spectators and supporters are encouraged to explore the site on race day. Please note that access onto the airfield and runway are for runners only, spectators will not be able access this area. *Please note that a £1.90 booking fee is applicable when booking entry to the Spitfire 10K race online. Update: Due to popularity and additional 300 places have been made available for the event! The Spitfire Family Run will also be back in 2019. This gentle run will follow a shorter race route in the Museum grounds. The race is suitable for all ages, but children under 11 years must be accompanied by an adult. Please note that only paying participants will be awarded a medal. *Please note that a booking fee of £1.30 will be applied to the Spitfire Family Run. Alternatively, download the postal entry form by clicking here – return the form and a cheque to book your place. The money raised from the Spitfire races helps the RAF Museum to share inspiring Royal Air Force stories, and preserve our collections for future generations.You have the chance to support us even further and fundraise for the Museum to help make sign up and start collecting sponsorship at our dedicated RAF Museum fundraising page at www.justgiving.com/RAFMuseum. Don’t forget to share your JustGiving page so your supporters can help you smash your fundraising target. 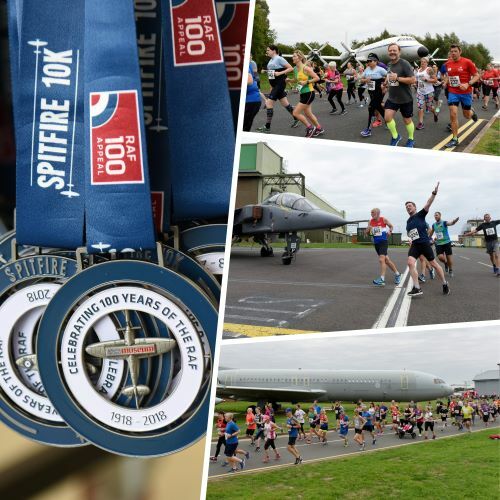 Please download the Spitfire 10K 2019 Fundraising Pack for further information on how to raise money for the Spitfire 10K and help ensure the story of the RAF is told for future generations. The Spitfire Family Run starts at 9:15am and the Spitfire 10K will at 10.00am on Sunday 1 September 2019. On site facilities include toilets, parking, free park and ride from Cosford railway station, bag drop, restaurant, 4D Experience, Fun ’n’ Flight interactive gallery and Museum Shop. Why not do something different and do the Spitfire 10K in 1940s dress? Don your victory curls or flying jacket and run this event in style! Need some ideas for your outfit? Here's a few from our previous events. If you have a questions related to the site and what will happen on the day please contact the Events Manager by calling 01902 376200 or email us. If you have a questions related to the Race please contact the Race Management Company.